At Jammers4u customer satisfaction is our #1 goal. We believe that every purchase can be e a positive experience. Our shipments are carefully inspected before leaving our warehouse. Ordering online from the Jammers4u Online Store is easy! Simply choose the items you wish to purchase and add them, individually, to your shopping cart. Each time you add an item, you'll be able to view the entire contents of your cart with a total dollar amount purchased so far. You will also be able to see which items are in stock and which items are awaiting replenishment. When you are ready to checkout, click the checkout button and proceed to the secure checkout area. You should check with your local authorities if it is legal to use jammers in your country. Prices & Payments: Jammers4u prices are for export and wholesale, currency is U.S. Dollars (USD). We currently accept Bank TT or Western Union. If you order through our secure online shopping cart, all orders are subject to verification and acceptance before shipping. Products quality: Jammers4u is original Manufacturer from Taiwan with factory in Shenzhen, China that keep the traditional high quality wireless RF technology developed in many years of making for long range cordless phones, radio, wireless LAN and security equipment equipment and you can be sure that Jammers4u quality is match better then from all other manufactures from China that make similar models. Jammers case may are look similar to our, but inside is PCB boards, even antennas are different, and of course, the performance are a lot of different. In China they just copy ... case..... and very easy the clients may think all are same. but actually it is not. Jammers4u carry only original and proven quality wireless technology equipment tested in many projects and we guarantee you reliable operation and stability. Quality control is another crucial aspect in the our operations, after the final quality control inspection has been completed and evaluated, our sales staff always double test all units before delivery. Warranty for all products is 1 year. Security: Jammers4u protecting your personal or business information is a priority. Your Privacy: At Jammers4u, your personal or business information is confidential. We do not rent, sell, barter or trade email addresses. When you place an order with us, we collect your name, address, telephone number, information and your email address and we use this information only to fulfill your order and to communicate with you about your order. Shipping: At Jammers4u, most orders ship out from our warehouse with DHL Express within 3 business days. Although most online orders process and deliver within 3 to 5 business days, please allow up to 2 to 3 weeks for delivery. When checking out, please specify a physical street address. 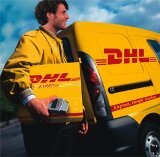 DHL will not deliver to P.O. Boxes. Tax: Jammers4u deliver worldwide and local Tax is not included in our prices. We can send you shipment declared by any volume and description on delivery invoice that you may need for better meeting shipment and customs requirements and saving costs. We can also send shipments declared as a free samples or gift. Returns, repairs and exchange: Jammers4u accept exchange refunds only for factory device errors. Refund exchange will be for the original purchase price of payment. Original shipment charges for delvery and handling charges are non-refundable.Warranty for all products is 1 year, and bayers can send us products for repair. RMA policy is based on manufactures' terms. No warranty for physical damage items. The goods should be well-packed in the original packaging if you have it, so that we receive them in good condition. Postage for Return, Repair and Exchange need to be paid in advance. All return shipping charges are the responsibility of the buyer. Please allow a minimum of 21 days for us to receive and process your return or exchange for warranty.